Back at the beginning of winter, when I was wondering just what to cast on next, I realized it was time to create a new toy pattern. 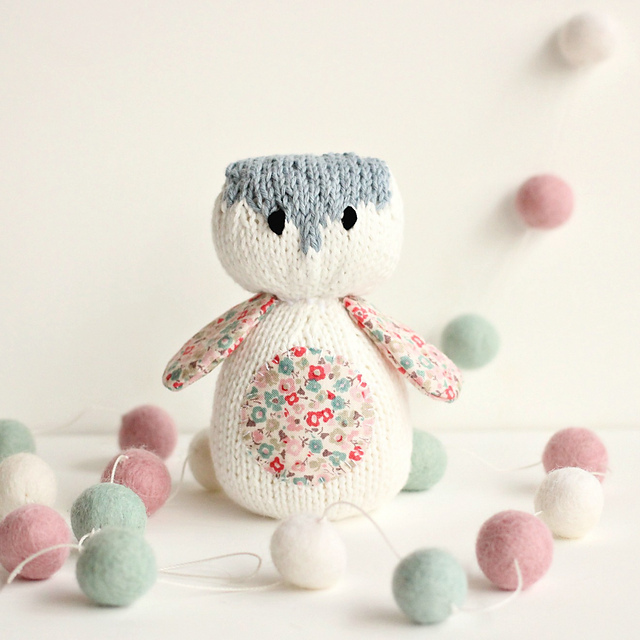 I wanted this next pattern to be sweet and quirky, and incorporate fabric as most of my other toy patterns do (because I think that just adds a modern touch, don't you?). It had to be something that was quick to knit, and fitted into the palm of your hand. 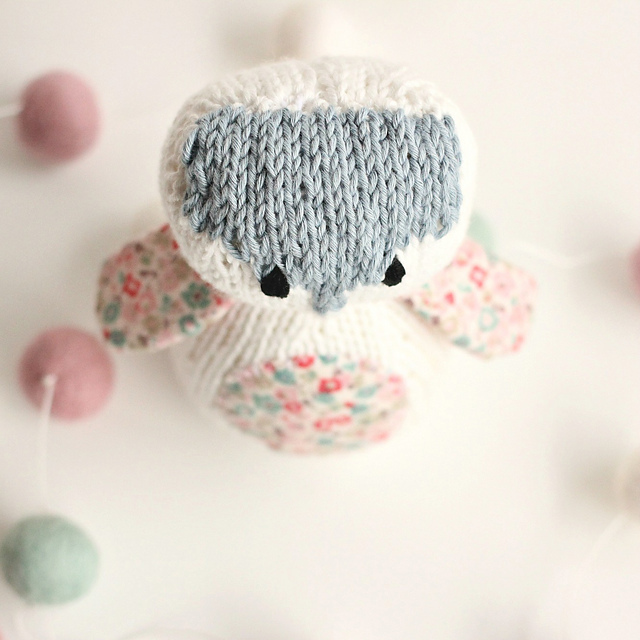 Like all of my patterns, Owl is knitted flat on two straight needles and I've written the pattern for DK (8ply) yarn. But, being a toy, you can of course use any weight yarn you like, your owl will just finish a different size. 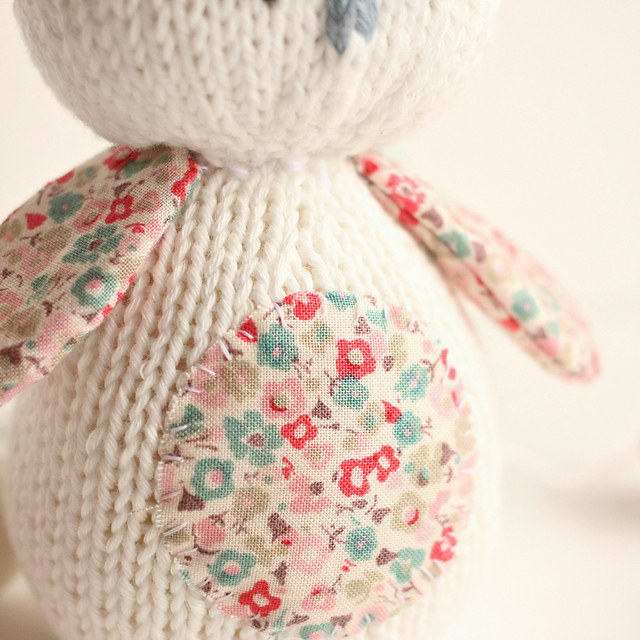 The body is knitted from written instructions and I've also included the templates for the wings and tummy patch, and sewing instructions for giving your owl a professional finish. All of this comes in a PDF that's available for instant download after purchase, in either my blog shop or on Ravelry. 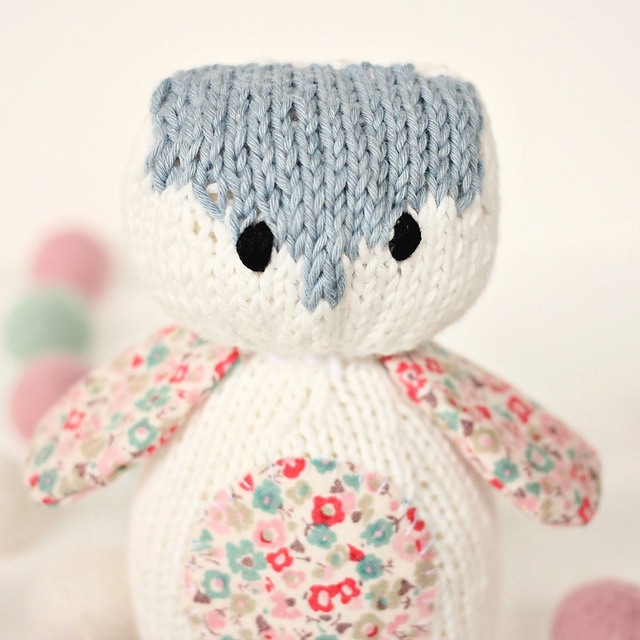 What do you think of Little Picnic Owl? Little Picnic Owl is so cute I could eat her all up! well done Sarah. I love Little Picnic Owl - so cute! Whoooo's adorable? Little Picnic Owl, that's who! The owl is adorable. And I do love the fabric you've chosen.